The majority of parents who want to give their children the best possible education once their child has left high school, have no other option but to pay the tuition fee themselves. For wealthy parents who have budgeted for this scenario in advance, this will not be a problem, but for those parents who do not have the necessary funds, there is only one option left, and that option is to acquire a loan. If you are a parent who has a less than spotless credit history, you could well find it a bit of a struggle to acquire the amount of money you need to put your child through college. The first port of call should always be to seek out any available forms of financial aid and apply for them. This may include government grants, tuition waivers, student sponsorship or maybe even a scholarship. Do not be afraid to apply for anything that your child could be eligible for, even if the amount offered is only a few hundred bucks. After all, every little helps and if you can secure funding from various places it could add up to a substantial amount. It is particularly worthwhile checking to see if the area of study carries any additional funding, for example in some areas those studying healthcare are offered additional support. If you have already begun to apply for loans to cover your child’s tuition fees then you have probably been refused once or twice, and this will have been because your credit score would not have met the criteria set by the lending company. You may not need to borrow the full amount of tuition and if so you can use this option to top up your funds if your loans from state backed options do not cover the cost. Of course, there is going to be the problem of your poor credit score, and this means that you should try to avoid the major banks and private student loan providers. Therefore, you should look into smaller banks and local credit unions, this is because they will be able to offer more flexible payment options, lower interest rates and they may not require you to have such a high credit score than other lenders. There is also the option of applying for a loan with a provider who specializes in individuals who have a poor credit history. There are even lenders who specifically offer loans designed to meet the needs of parents with children who want to go to college. If your child wants to be responsible for his or her own tuition then you may also want to look into co-signed loans or joint applications so that you can both combine your resources in order to secure the necessary funds to cover the cost of college. This will allow your child to start building a credit rating of their own as once the repayments are made reports will be made to credit bureaus in both of your names. In an ideal world everyone would have either a college fund or a scholarship, but in reality that is just not the case and most people do struggle to pay for a college education. Having bad credit may make things a little bit more difficult, but it by no means puts an end to your child’s dream of going to college. Seek out alternatives to traditional lending and you may find that you do have the option of securing the loan you need despite your bad credit. Hugh Tyzack is the founding managing director of www.loansforbad-credit.co.uk which helps even people with bad credit to get a loan. In his spare time he is an avid pianist and loves listening to classical music. 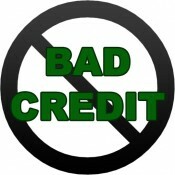 Follow Hugh on Twitter @badcreditloans8 and also on Google+.